Yesterday was perfect to go exploring. Solli said I must go to rue Cremieux,75012, just 18 minutes walk from my house thanks to Google Maps. Paris has quite a few of these hidden enclaves. 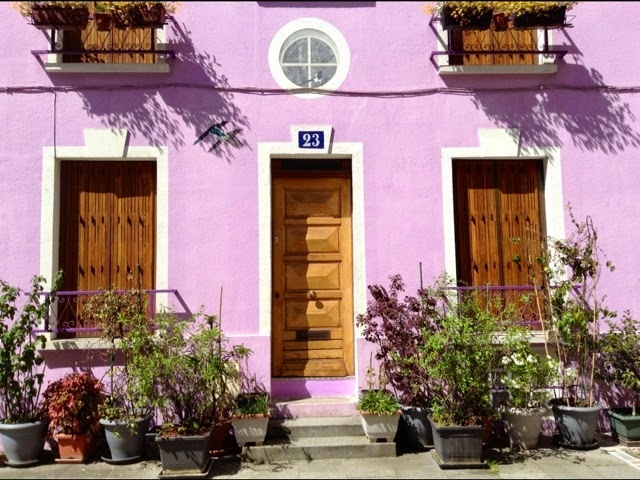 You feel you landed in a French country lane like Le Vieux Belleville and rue des Thermopolyes to name a few. All exploring should include a little snacking no? 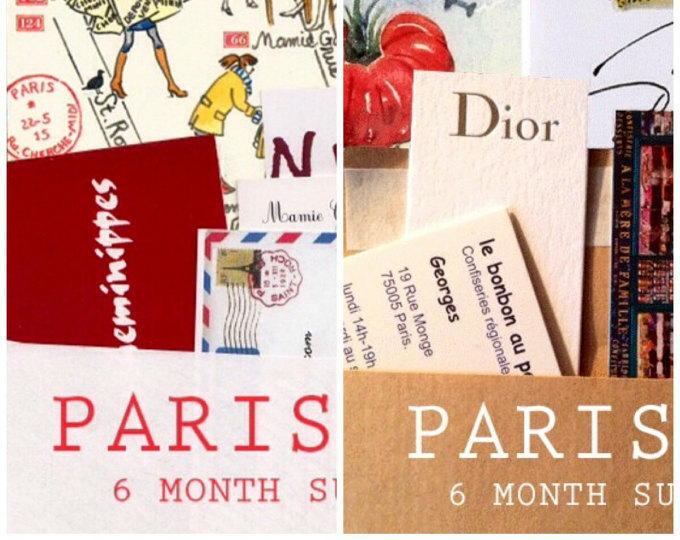 Paris By Mouth announced on Tuesday the 5 Great Paris-Brest to be found in Paris. 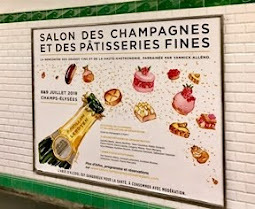 Fortunately Boulangerie BO, 85 bis rue de Charenton, 75012, #3 winner in the contest is just 15 minutes walk from rue Cremieux. 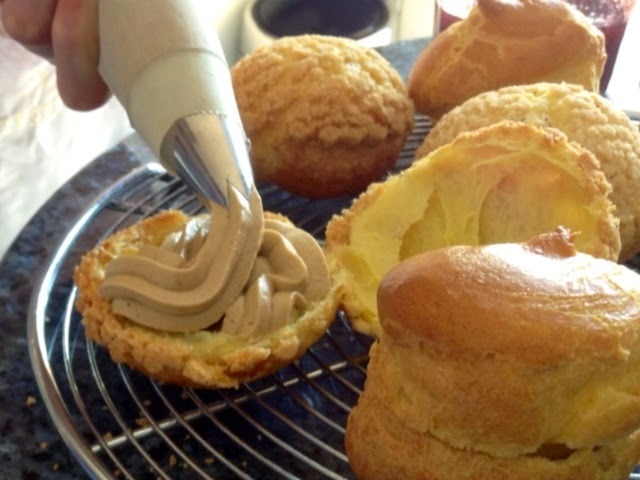 Baking choux at Jill Colonna's house on Tuesday makes tasting all choux obligatory doesn't it? Note the crumbly, crunchy topping on this delicious winner. 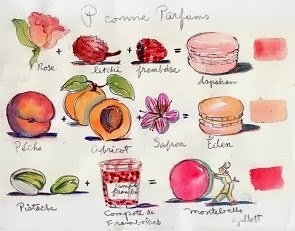 'Craquelin' is very popular these days in Paris patisseries. Jill calls it 'crumble topping' made from salted butter, flour and light brown sugar. 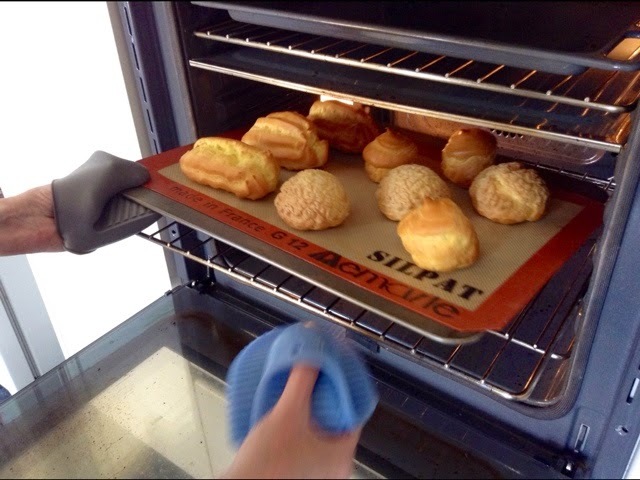 It adds zing to the plainest choux surface. Bear is Very fond of it. Back to exploring the 12th. Arom, 73 Avenue Ledru-Rollin, is a divine fleurist, perfect if you're getting married. 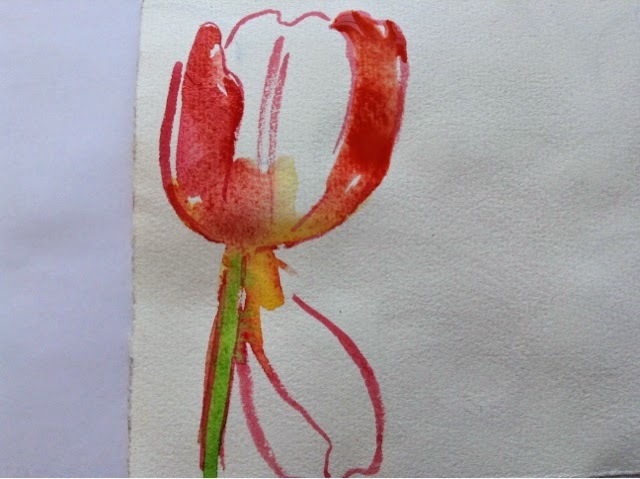 I thought I'd give you a tulip painting demo in case you'd like to DIY. I started out using a photograph, making a value study with the help of app My Sketch. I wasn't happy with any of these, so tossed them into the circular file. Drawing the contours with a Japanese Pentel Waterbrush. I'm never satisfied so I redraw it again. 1st subscriber or renewer gets the demo. 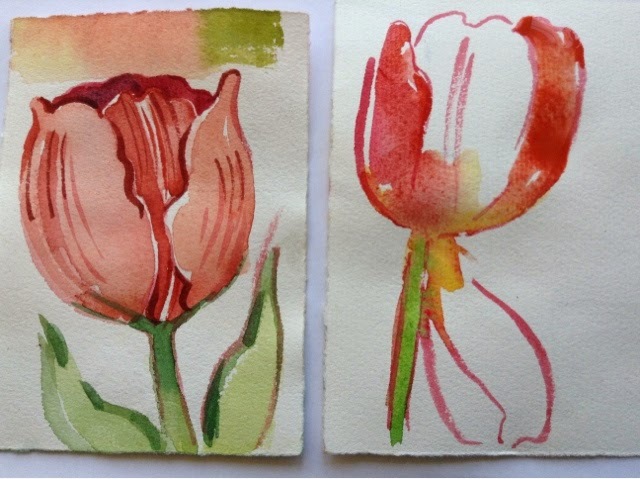 Or the pinks or another tulip watercolor of your own. Love the street.Bear is so lucky to see so up close and persona..cute shot. It's a balmy 30F here..no shorts ..no jean jackets..unless UNDER a coat. 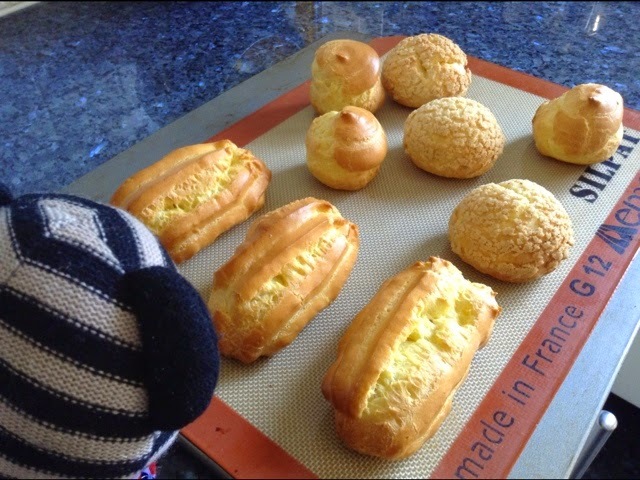 Love that topping on the choux..te look is different but the taste must be delish. 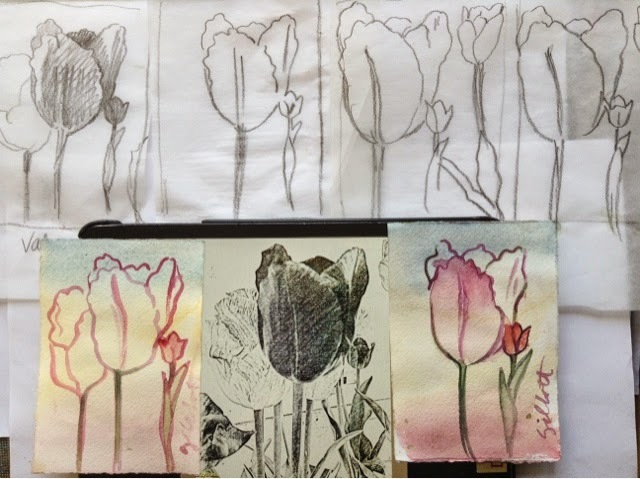 Tulipes d'amour..I have some here too..hope to try and paint them as they are waning..busy week..
Carol, thank you and Solli for the introduction to charming Rue Cremieux...my oh my, what a beautiful little street. As you know, there are a few of these little hideaways over here in New York, too. It makes you smile just to walk along these streets. What is the name of the Hotel? 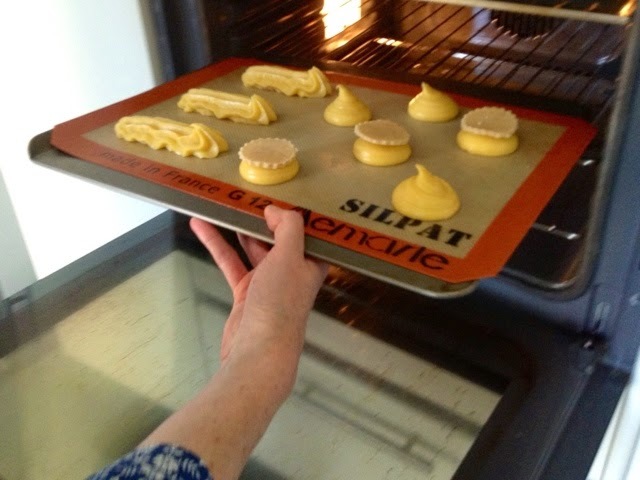 The baking looks like such fun! 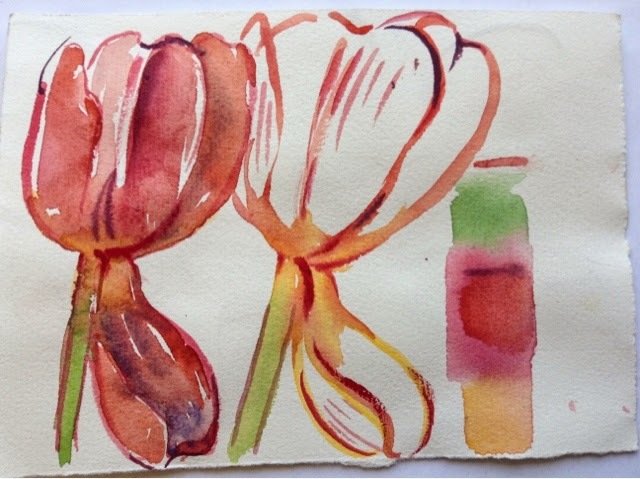 I've posted a blog about my recent walk through flower-filled Central Park. 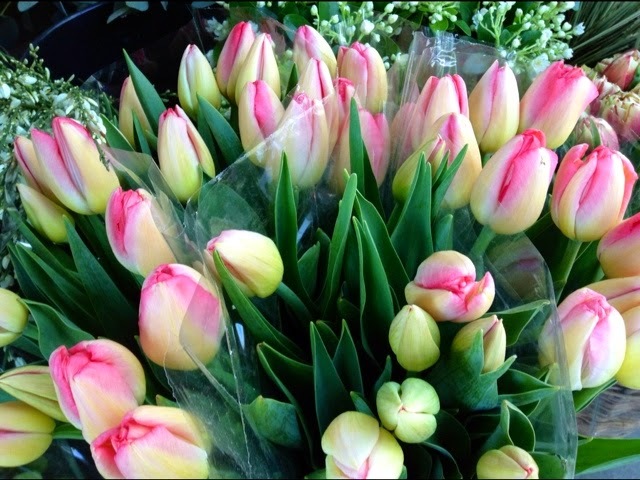 Not many tulips to be seen there quite yet. And, can you believe it, we've gotten in the path of another chilly weather front. Down coat at the ready. I should have had you baking the whole thing from start to finish, Carol - next time. Great fun. Note that's my daughter Lucie piping out the coffee cream - messy but good! 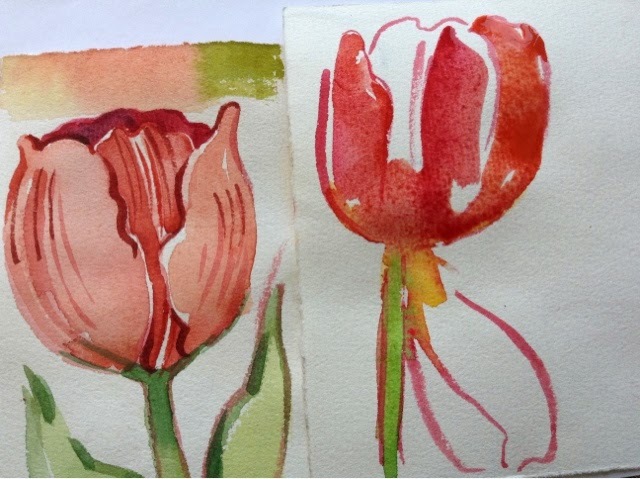 Thanks for popping chez nous for teatime - we love your tulip watercolours! 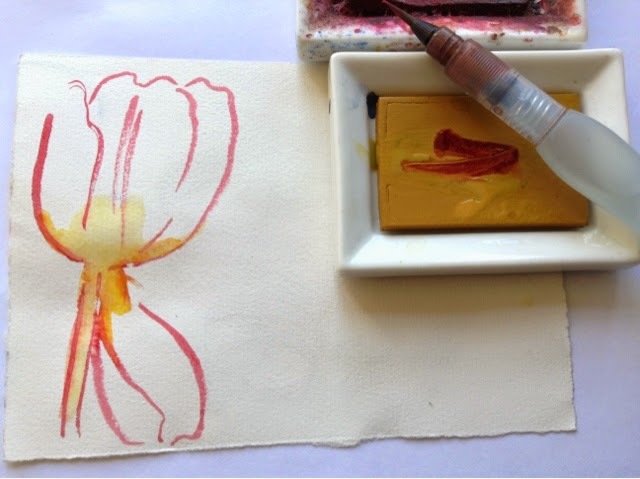 Lucie's surprise sketch letter is waiting for her return. Love the envelope with the beautiful writing. Thank you! I'm giving away all your pastry secrets in the book! 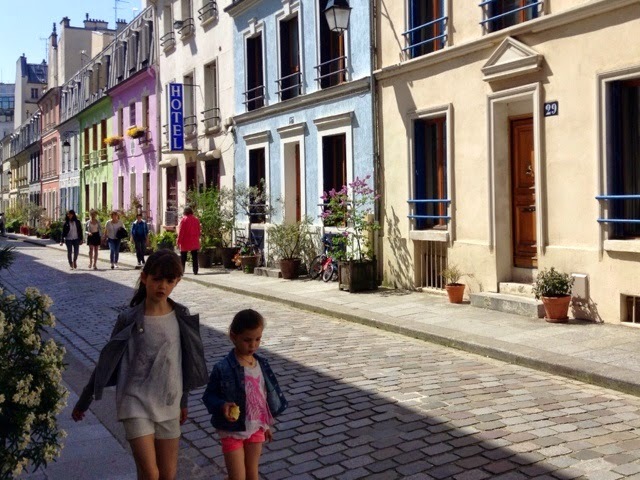 I am looking forward to going to rue Cremieux on my next visit. 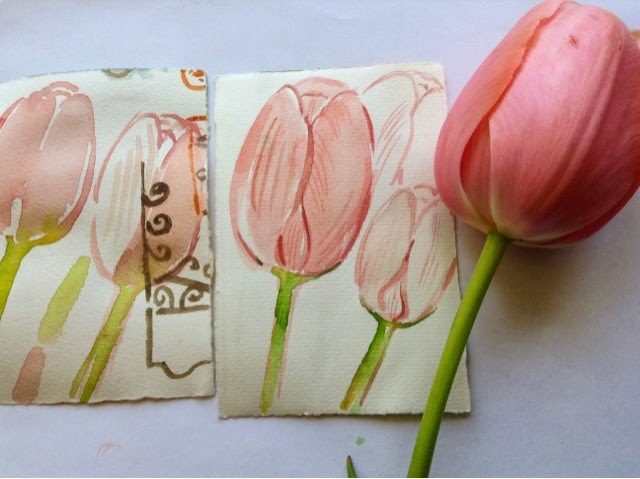 Looks so darn cute:) Thanks for the tulip lesson! I am falling madly in love with Paris. 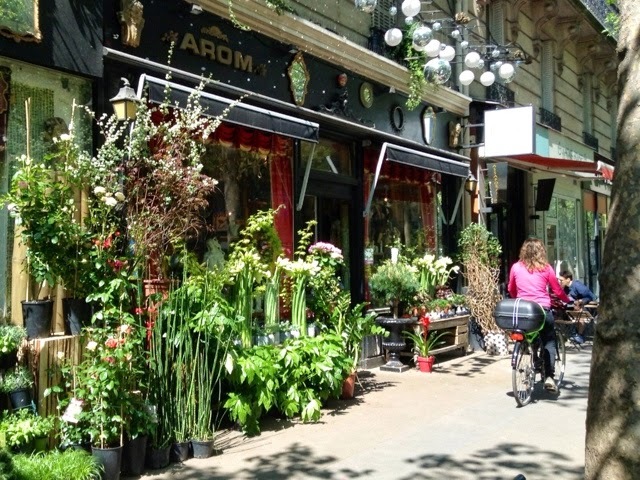 The pastries look great, but I really loved the 12 "Arom" florist shots - especially that first, exterior shot. Have a great weekend, Carol! I flipped for the troupe l'oeiul (sp?) wisteria! Wonder if I'd still like it in winter? Tromp l'eoile(sp) fool the eye but it ain't. Trompe-l'œil (French for "deceive the eye", pronounced [tʁɔ̃p lœj]) is an art technique that uses realistic imagery to create the optical illusion that the depicted objects exist in three dimensions. Forced perspective is a comparable illusion in architecture. 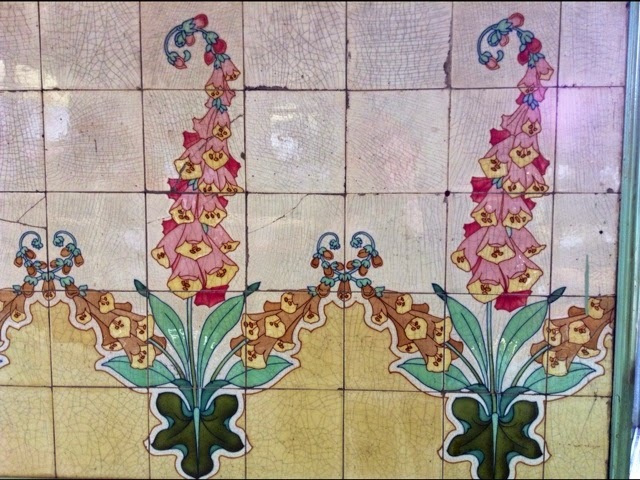 The wisteria on the front of the green house is most definitely not tiles. 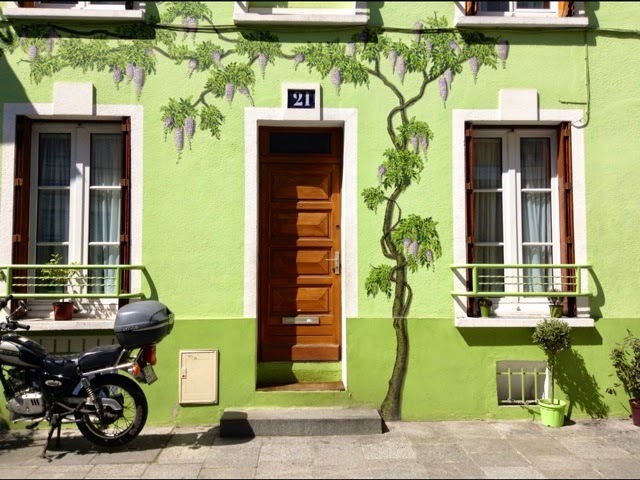 It's just one of half a dozen trompe-l'oeil paintings on the houses on this lovely street. This neighborhood is magical! I could get lost there for days and not care! 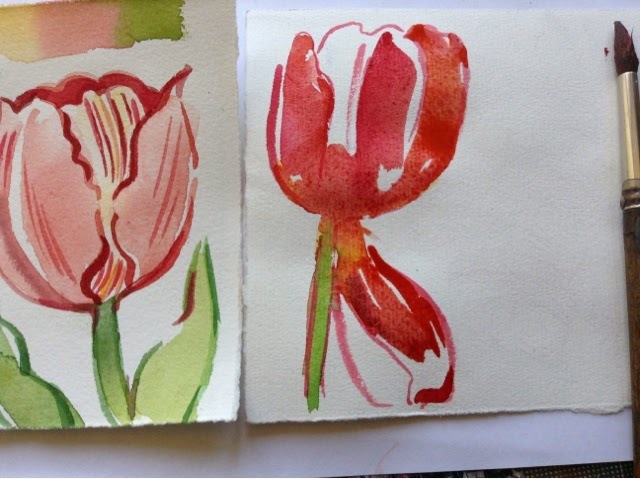 And I loved the painting lesson -- I'm so appreciative when you do those. And best of all, my lost Paris Letter arrived in the mail yesterday. Thanks for the replacement and thank Bear for his nice note! Lovely goodies inside, too! Proudly displayed! 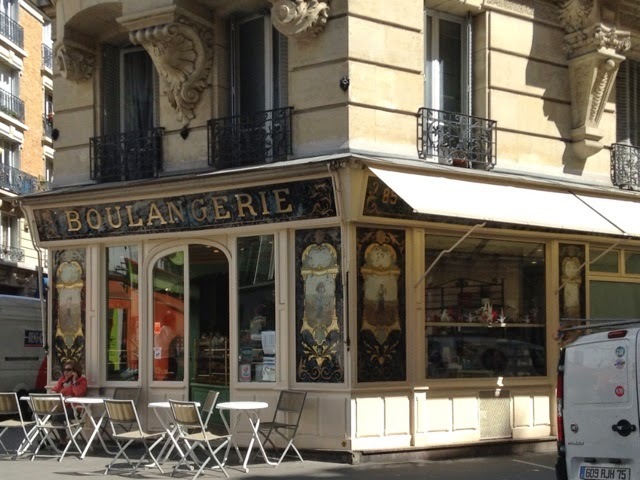 If yr feeling lost in Paris pop in to the nearest boulangerie. 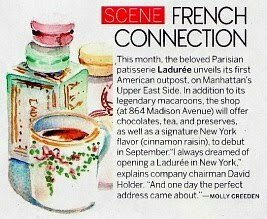 It will be full of familiar landmarks like croissants, meringues, Paris-Brest. 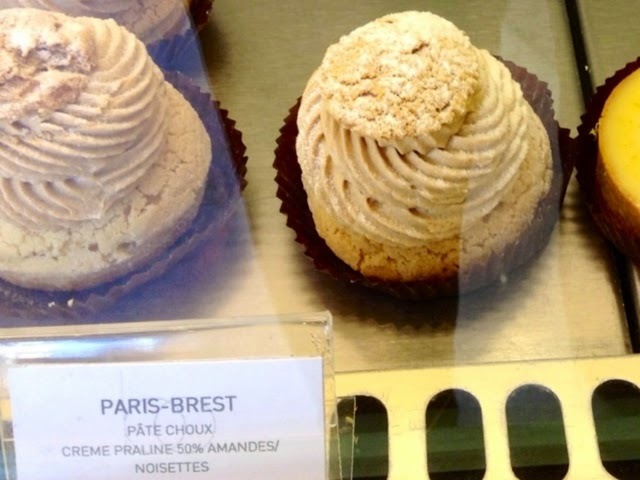 Paris-Brest! 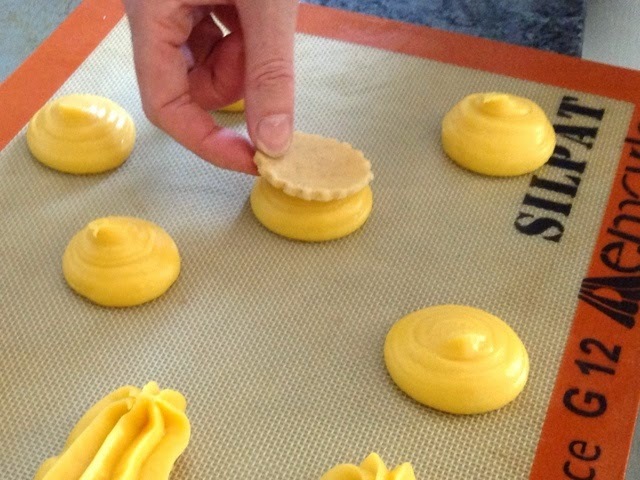 A couple of years ago a friend and I made Paris-Brest to celebrate the race (blogged about it -- took a huge chunk of time -- and SO good!). 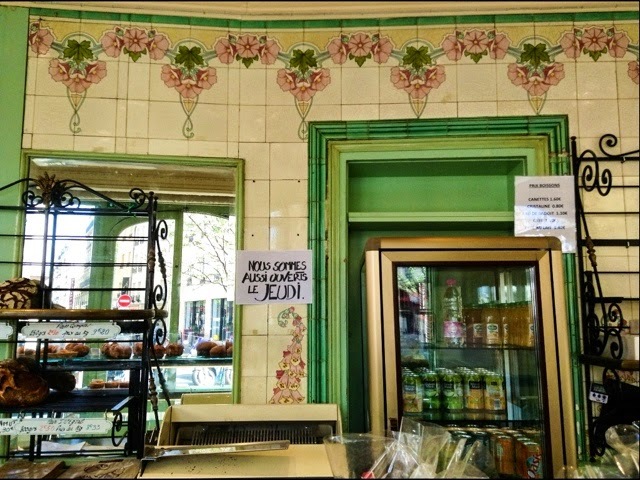 I'd love to see it in a real Paris boulangerie/partisserie! This street is on our list - we plan to visit it on May 16th & I will be buying lillies of the valley on May 1st along with tulips & peonies. Our apartment will smell heavenly. 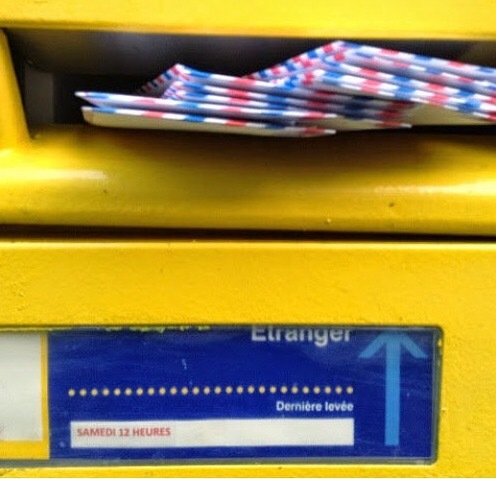 Another lovely post to save! All of your photos are beautiful. 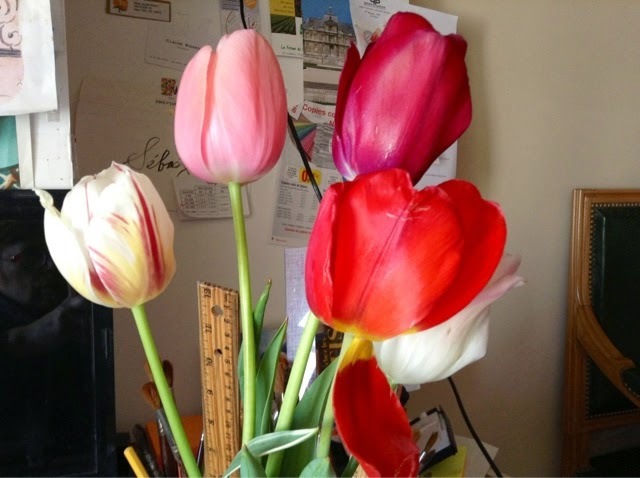 Some blogs choose to post way too many photos of basically the same thing. It is easy to loose interest. You really are the best! Next time we are visiting--we will definitely check this out.